In the late spring I signed up for a swap that my quilt guild was doing with another modern quilt guild. I was super excited...I had until the Sept 16th meeting to get it done. No problem! Then life happened and the summer got crazy. My craft room was not really accessible and I quite frankly lost my sewing mojo so I kept putting it off. And off. But, I finally got it finished...on the morning of the meeting. I normally like to hand bind my mini quilts, but that was taking forever so I had to machine bind it. And then I ended up being an hour late to the meeting. Whoops! But I got it done though! On her preference sheet, the lady I was making the mini for said she liked Christmas so I thought I would go in that direction. I found this adorable Patchwork Tree Quilt Block Tutorial from Amy at Diary of a quilter that I thought would be great for our modern quilt swap. 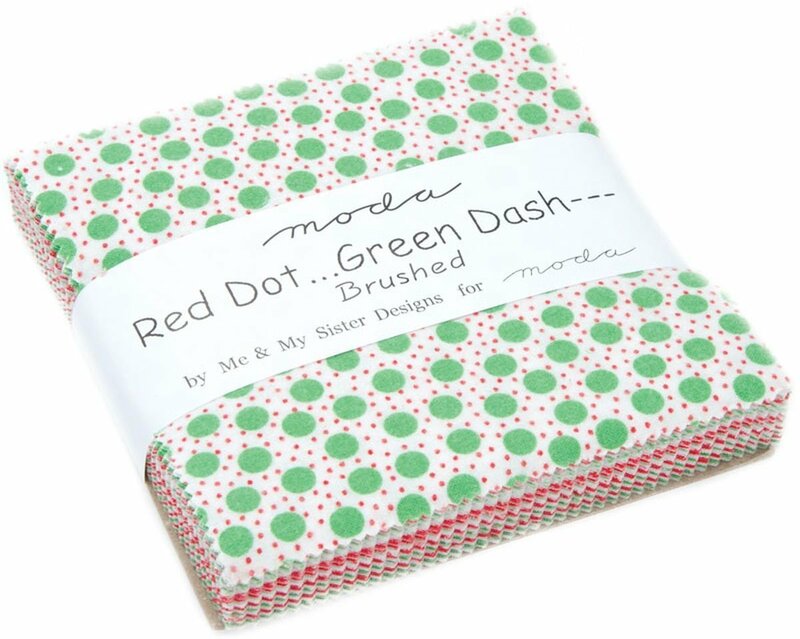 So I ordered this super cute Red Dot...Green Dash... Moda charm pack. I decided to add white sashing to mine to make it look a little cleaner and I used my go-to wavy line quilting. I think it came out adorable. Actually, I hated to give it away! I think I'll definitely have to make myself one in the future. The pictures definitely could have been better, but I was running so late that I literally took them using my phone on the table outside the guild meeting before I walked in to turn it in.